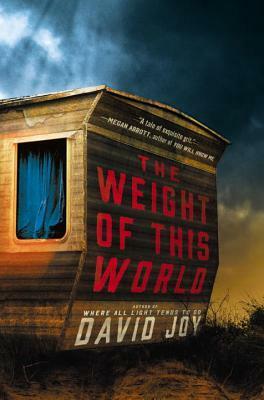 This is my second David Joy read, the first having been “Where All Light Tends to Go.” I read that one, gave it 3 stars. This one is slightly better, though not by much. This book literally begins with a bang–with shocking act of violence committed by young Aiden McCall’s father upon his mother. Without parents, he is sent to a group home that he quickly runs away from. Aiden finds a friend in Thad Broom, a brooding, often violent boy with his own problems. The two boys grow up in the same home together, though Thad eventually leaves to join the Army and fight in Afghanistan. Thad returns from combat injured and hopeless, a shell of a man. Aiden, without his friend for six years, doesn’t fare much better: he’s unemployed, bitter, and a part-time drunk. He hopes to escape from their miserable lives and move away, but Thad will not hear of it. In the meantime both Thad and Aiden do drugs (mostly methamphetamine) to get through their days. In the middle of the drama is April, Thad’s mother. She lives with secrets of her own, and also wants to move on and, in her words, “get off the mountain.” She is swept into the subsequent drama when Aiden and Thad’s drug dealer accidentally kills himself and leaves all three with a large stash of drugs and cash. What follows after this point in the book is a really dark and violent cycle of revenge, suffering, and just plain bad decision-making. None of the characters in this book are likable, but I think in the end their likability is completely irrelevant to the reason why I gave this book three and a half stars. I can see that the author is perhaps meditating on the power of fate over free will, though as a reader after a while I was just plain tired of the characters and their ensuing Stupidity Olympics. You realize that these people don’t want to better themselves and they simply want to be miserable, end of story. I tried to feel some kind of empathy (nope!) for their choices, maybe even some kind of compassion for these characters but there’s none (absolutely none!) to be found. Three-quarters into this, I just got tired of reading and plodded my way to the end. Needless to say, I was glad when it was over. Despite my rating, I would recommend this book. Though the violence is not for the faint of heart, but the author’s writing is not that bad and this novel does, in many ways, still manage to hold your attention.